Last week I shared my ideas for bridesmaid gifts, so this week it's the turn of groomsmen! As with last week's post, this is inspired by our actual wedding in which all our groomsmen were men. If you have any female groomsmen some of these ideas might work still, and if not hopefully my bridesmaid ideas will help. As our wedding was 4th June I can share what we actually got for our groomsmen as they already have their gifts now! I prefer wedding gifts for the bridal party that don't use wedding terms in them, so they can be used afterwards and are more versatile so your bridal party can think of the day fondly whenever they use or wear their gift again. So here are our ideas! 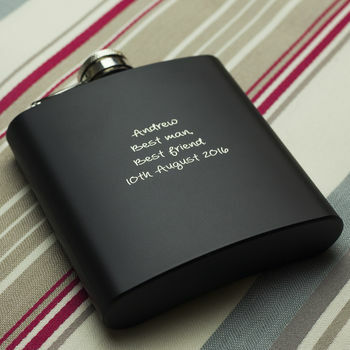 A hip flask is, I think at least, a total classic for the men in your bridal party, and for good reason. A hip flask makes such a thoughtful gift and this matte black style is lush. You could get their name and role etc on the flask as pictured above, or you could get your groomsmen's favourite song lyrics on it to make it more personal to them. 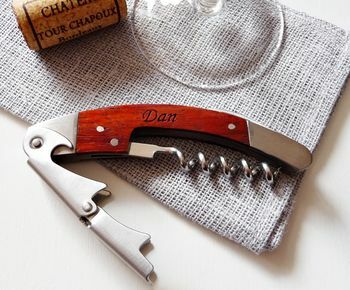 A good quality bottle opener and corkscrew are an essential household item, making this an ideal gift. 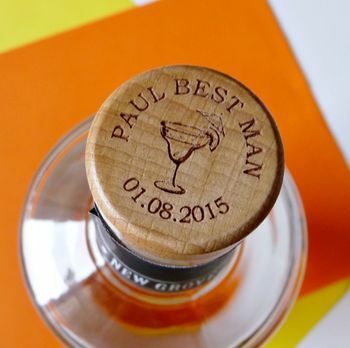 It's classic, it's cool, it's a personalised gift your groomsmen can use for the longest time. The wooden handle looks fantastic and really adds something to this gift. 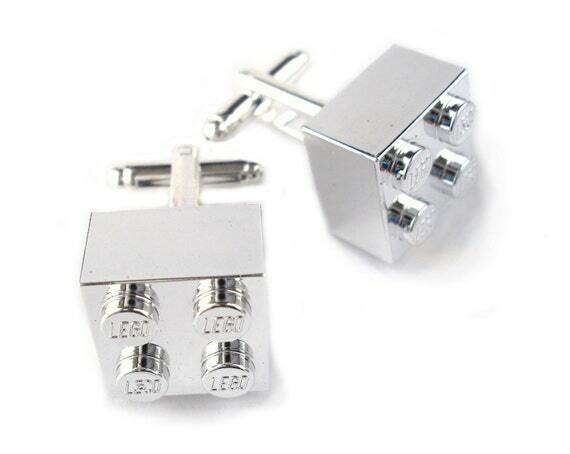 If your party are wearing suits, cufflinks are a great choice! Not everyone has a pair, and cufflinks suited to each groomsmen can be a fun individual part of each suit. 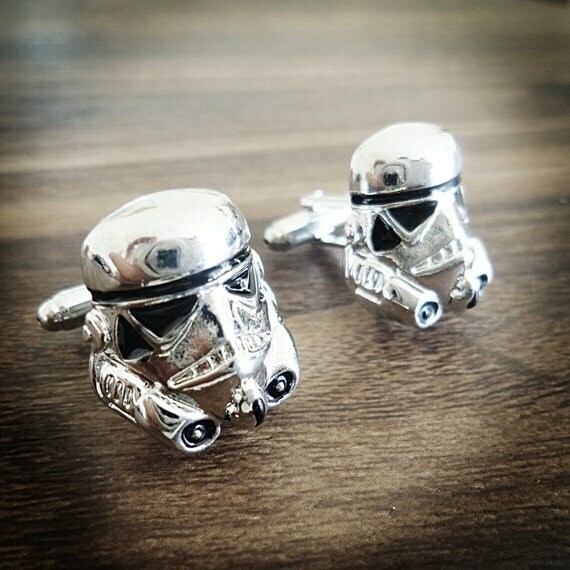 Every groomsmen can have a different pair that fits their hobbies and interests. This is what Stu opted for and we had everything from basketballs, to pugs, Playstation controllers and drum kits. Definitely a classy choice, these drinks decanters are so awesome. 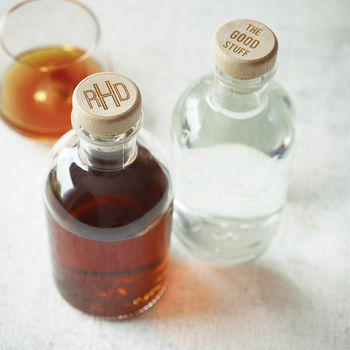 You can get a monogram or wording on the stoppers so each groomsmen can have something unique they can use afterwards to impress if they ever host a fancy dinner party. Plus, these just look cool as hell. And for more of a budget option, you could get just the stopper part instead. This is great providing you don't have any teetotalers in your group like we did. These are only £5.99 and are really thoughtful, an ideal gift to treasure and keep. What did you get your groomsmen?